Are you looking for dumpster rental in Oak Lawn, IL? Look no further than A City Suburban Service Inc. The dumpsters currently available for rent in Oak Lawn are shown below. Contact us for a special offer to get your dumpster delivered to Oak Lawn. First-time dumpster rental customers may be surprised by the level of formality that occurs in arranging and finalizing the rental process. State and city authorities have restrictions and regulations related to where a dumpster can be placed, the amount of debris it can accommodate, how long it remains on a private property and other aspects. All these regulations have to be followed, as fees and fines may occur if they are broken. Renting a dumpster from A City Suburban Service, Inc. results in a worry-free job for you. We will deliver needed size dumpster, pick it up when it’s full and discard it according to Oak Lawn rules and regulations without interrupting your plans. If a dumpster can fit on your driveway, you most likely won't need a permit. Depending on where you live you may probably need a permit to park a dumpster on the street. Call us at 773-295-0303 and we will assist you in the process of getting needed permits. Dumpster is defined as any roll-off container, used for the collection of garbage and debris, which, when transported, is transported by way of a truck equipped with an industrial roll-off hoist. Any dumpster used within the Oak Lawn, when not being transported, shall be located only on private property. Dumpster which is placed on private property do not need a permit. 3. The dumpster shall only be located on the roadway or parkway between the hours of eight o'clock (8:00) A.M. and four o'clock (4:00) P.M.
Any person, firm or corporation violating the provisions shall be fined not to exceed five hundred dollars ($500.00). A dumpster rental is not so easy as it appears at the beginning because of the level of formality that occurs during process. Here are the most commonly asked questions that residential and business customers have before, during and after renting a dumpster in Oak Lawn. If you can't find an answer here, please give us a call and we will help you out! Q: How can I choose the right size of a dumpster? A: You can visit our dumpster size webpage or you can contact us and we will make a recommendation for you. A: The price of dumpster rental depends on the dumpster type, size and capacity. Also it depends on customer’s location and required permits in the city. Disposal costs are different in every city because of municipalities. We will give you the best price for a dumpster rental. Approximate dumpster rental prices are displayed above. Q: Can you deliver a dumpster today? A: Yes, we are doing our best to deliver a dumpster on the same day, but we can not guarantee this. 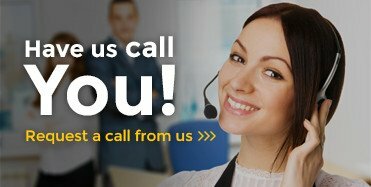 Please feel free to call our service representative to check available delivery times in your area. Our Oak Lawn customers appreciate our commitment to delivering fast and quality service. Usually we are able to deliver your roll off dumpster the very same day. This helps you get started on your job quickly, so call us even for the last minute projects. Same day dumpster rental service is available at no extra charge. If you need any kind of trash or debris removal in Oak Lawn, please call A City Suburban Service, Inc. at 773-295-0303 or 708-689-9933 and let us take care of you! This is the easy way to make sure dumpster rental service will be smooth as 1-2-3.